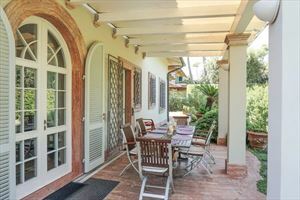 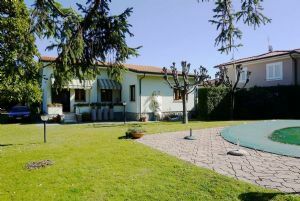 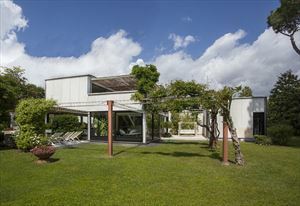 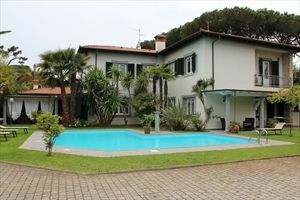 Single villa with garden and Jacuzzi is located in a quiet area of Forte dei Marmi at about 1200 meters from the sea. 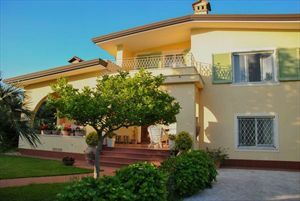 Equipped with air conditioning, Wi-Fi internet, satellite TV, alarm system, automatic gate, covered parking space, 2 covered terraces with dining table and summer furniture. 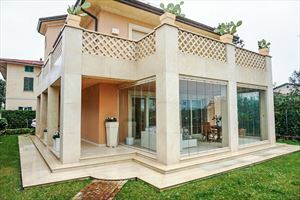 Ground floor: entrance, living room with fireplace, dining area, kitchen, double bedroom, bathroom with shower. 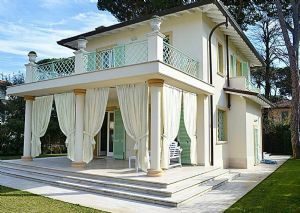 First floor: 1 master bedroom with wardrobe and bathroom, 3 double bedrooms with bathroom.